Continuing the legacy of the great contralto Marian Anderson, who brought slave songs to the classical concert stage, This project will commission American composers to create works for string quartet based on songs of the African Diaspora. The CONTINUING THE LEGACY project will expose audiences to this important and historical body of music and create a point of departure that may well define the future of American music. 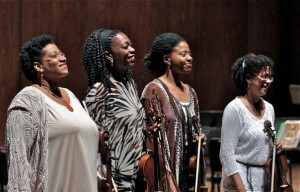 The Marian Anderson String Quartet and MCM Arts and Entertainment in collaboration with Joanne Rile Artists Management are pleased to offer this exciting new commissioning project to presenters worldwide. 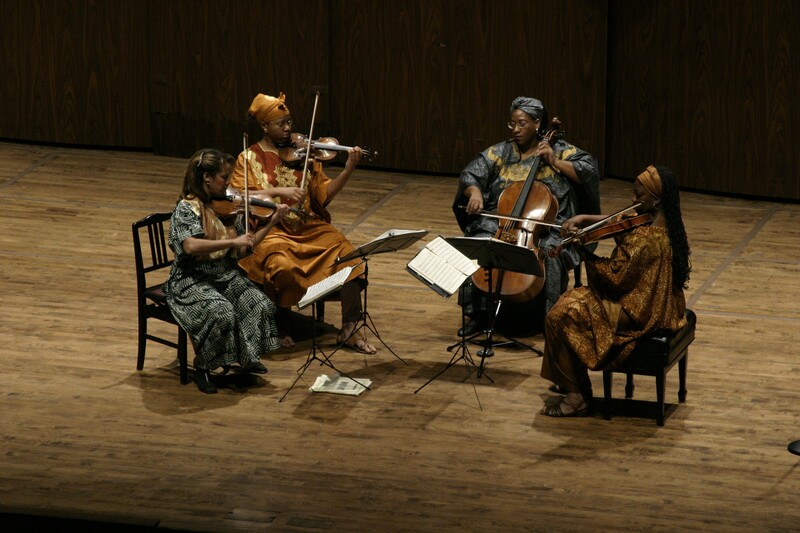 The CONTINUING THE LEGACY project will begin in the 2013-2014 season in honor of the 75th anniversary of Marian Andersons performance at the Lincoln Memorial and the 25th anniversary of the Marian Anderson String Quartet. The project is ongoing and will include continued commissions, recitals and recordings. Arturo Toscanini once said of Marian Anderson that “A voice like yours is heard once in 100 years”. The CONTINUING THE LEGACY project will bring the spiritual new life, a new perspective and a new place on the concert stages of the future. 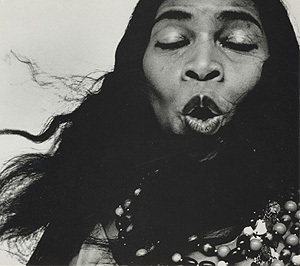 In 1992, Marian Anderson gave the quartet permission to use her name as their own after they won the prestigious International Cleveland Quartet Competition becoming the first African-American ensemble in history to win a classical competition. In a memorable show of gratitude, the Marian Anderson String Quartet performed a private recital for their namesake in her home in Portland, Oregon. 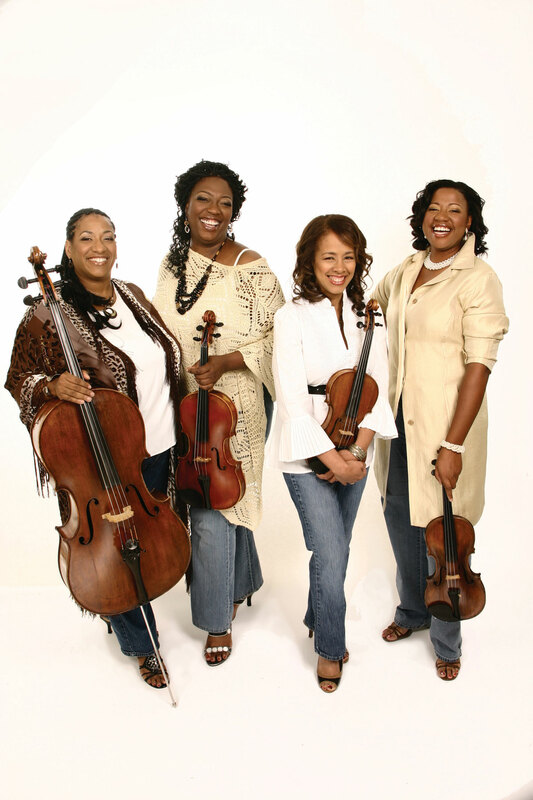 The winners of the 2008 Chamber Music America Guarneri String Quartet Award and the 2006 Congress of Racial Equality Martin Luther King Award for Excellence in Arts and Culture, the Marian Anderson String Quartet is equally at home in the concert hall and the classroom. With performance venues that range from the 1993 Presidential Inaugural, Alice Tully Hall and the Library of Congress to soup kitchens and juvenile correctional facilities, the Marian Anderson String Quartet continues to uphold its mission to create new and diverse audiences for American Chamber music. Grammy Award winning, American fiddler and composer Mark O’Connor whose Sony recording “Appalachia Waltz,” which Mr. O’Connor made Yo-Yo Ma and the bassist Edgar Meyer, made “crossover” history. As a composer, Mr. O’Connor has received commissions from such respected institutions as the International Bach Academy, the McKim Fund of the Library of Congress, and the aforementioned Gloria Dei Cantores. His Fiddle Concerto No. 1 has received more than 150 performances. His orchestral work The American Seasons: Seasons of American Life, introduced in April 2000, was greeted as a masterwork. Cuban born Tania Leon is highly regarded as a composer and conductor and recognized for her accomplishments as an educator and advisor to arts organizations. She has been profiled on ABC, CBS, CNN, PBS, Univision, Telemundo, and independent films. León’s opera Scourge of Hyacinths, based on a play by Wole Soyinka with staging and design by Robert Wilson, received over 20 performances throughout Europe and Mexico. Commissions include works for the Orpheus Chamber Orchestra, New World Symphony, Koussevitzky Foundation, Fest der Kontinente (Hamburg, Germany), Cincinnati Symphony, NEA, NDR Sinfonie Orchester, American Composers Orchestra, The Library of Congress, Ensemble Modern, The Los Angeles Master Chorale, and The Kennedy Center for the Performing Arts, among others. Pianist and composer Billy Childs has received a number of orchestral commissions from, among others: Esa-Pekka Salonen and the Los Angeles Philharmonic, the Detroit Symphony Orchestra under the baton of Leonard Slatkin. In his career, Childs has garnered ten Grammy nominations and three Grammy awards: two for best instrumental composition (Into the Light from Lyric and The Path Among The Trees from Autumn: In Moving Pictures) and one for best arrangement accompanying a vocalist. In 2009, Childs was the recipient of a Guggenheim Fellowship and in 2006 was awarded a Chamber Music America composer’s grant. Laura Kaminsky is a Pulizter Prize nominated composer with “an ear for the new and interesting” (The New York Times) whose works are “colorful and harmonically sharp-edged” (The New York Times) and whose “musical language is compounded of hymns, blues, and gestures not unlike those of Shostakovich” (inTune). Social and political themes are common in her work, as is an abiding respect for and connection to the natural world. The visual is made manifest in sound, with color and image often serving as the underlying inspiration. She is Artistic Director of Symphony Space in New York City. 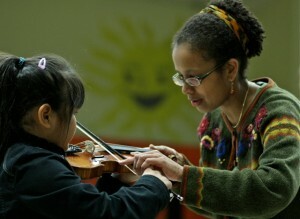 From 2004-2008, she served as dean of the Conservatory of Music at Purchase College/SUNY, where she is currently professor of music and faculty-at-large for the School of the Arts. American composer and educator Adolphus Hailstork grew up in Albany, New York, where he studied violin, piano, organ, and voice. His composition instructors include Mark Fax, Vittorio Giannini, David Diamond, and Nadia Boulanger. Hailstork is of African American ancestry and his works blend musical ideas from both the African American and European traditions. Hailstork’s awards include a Fulbright fellowship (1987). In 1992 he was named a Cultural Laureate of the Commonwealth of Virginia. Old Dominion University maintains the Adolphus Hailstork Collection, in the special collections area of the F. Ludwig Diehn Composers Room, in the Diehn Fine and Performing Arts Center. Program repertoire will consist of works spanning the history of the classical chamber music literature from earliest composers to contemporary. The newly composed material will be incorporated into the program and tied together thematically. The fee for a CONTINUING THE LEGACY project concert performance and/or residency will range from $5000- $20,000. Fees for residencies will be negotiated based on the length of the residency and activities within it. A portion of this fee will be distributed as the composer’s commission fee. This project is ongoing and will begin its booking for season 2013-2014.